Created by perfumer Jean Paul Guerlain in 1969, Chamade was a homage to Françoise Sagan’s novel La Chamade. Symbolizing a quick beating of the heart of those in love, “Chamade” is another enchanting name given to the Guerlain creation. Although hyacinth is one of my favorite flowers, I find that its lush exotic scent is often rendered as oily and heavy in perfumery. This is the case with Chamade, which starts out with a heavy green hyacinth note, however blackcurrant adds a tangy green layer, which cuts through the richness. 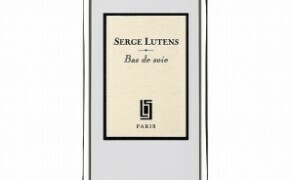 The extrait de parfum is miles away from the lighter eau de toilette. The green note gives way to a beautiful accord that seems to shine like a diamond in the sunlight. Chamade takes its time to develop completely, but the wait is worth it. It is elegant and sensual like Catherine Deneuve in Belle de Jour. Even though Belle de Jour is more of a Nahéma character, I imagined prim and proper Séverine Serizy to be wearing Chamade. Every time I smell it, I envision her walking down the street in a chic black Yves Saint Laurent coat and a buckled shoes, gazing around surreptitiously before stepping into her other world of Belle de Jour. Moreover, the bottle is beautiful, and I would acquire Chamade just for that multilayered heart-shaped flacon designed by Raymond Guerlain a year before he passed away. Guerlain Chamade includes notes of Turkish rose, ylang ylang, jasmine, lilac, blackcurrant bud, lily of the valley, hyacinth, cassis, galbanum, sandalwood, vetiver, vanilla, musk, amber, iris and tonka bean. The parfum smells thinner and more attenuated compared to the original version, with a stronger vanilla note coming through in the drydown. That being said, it is still a great composition and its green floral character set against a modern oriental accord is beautiful. Nice sillage. Chamade Eau de Toilette is excellent, with a nice tenacity. Compared to the older (1990s) versions of the EDT, the new one is good, green, vibrant, exhibiting the beautiful contrast between cool and warm notes. It is thinner, but overall, it is a good reformulation. The new batch of Chamade has gotten its curves back, and all versions are excellent. The Eau de Toilette is graced with a sparkling green top note that feels richer, brighter and more faceted. The same green note that smells like crushed leaves and sticky buds (galbanum) gives the extrait de parfum more complexity. Chamade feels closer to the original than it has in years. A fragrance that truly deserves its iconic status. Romina: First of all, love your site and you all are in love with perfume! Want to comment on Chamade. Being a writer, I naturally loved that it was inspired by a novel of Francoise Sagan’s. A movie was made of the book in 1969, featuring Catherine Deneuve :). She gets a lot of Guerlain play, yes? GeM: You’re welcome Victoria, I also knew it recently! rh: What’s in there to require reformulation? Would you know which batch you tested? I went to B&G last week, their batch code for the extrait was 3R01 or April 2013. I was immensely disappointed. The perfume smelt half between some diluted version of the original formula and half between some sort of fruity powdery like Guerlain Meteorites. The cassis now smells more like raspberry and candied violet. I have smelled the vintage extrait from the 1970’s, I recall the Guerlinade to be quite potent, but here it’s barely to be found at all. I’m very pleased it’s not just my imagination (and feeling quite bashfully proud) — many thanks for coming back on this! Karen: I hope to try the EdP – my skin just seems to eat up the EdC. However, 6 hours later, the faint end of L’heure Bleu has me turned around! I’m wondering if the EdP will bypass the super-sweet notes on me. Cecilia: Hi! I would like to ask if anyone knows the year or period of the n.748 version. Visiting a flea market during one of my perfume huntings I found this version, and I was wondering if is a recent reformulation or not. Thank you! !